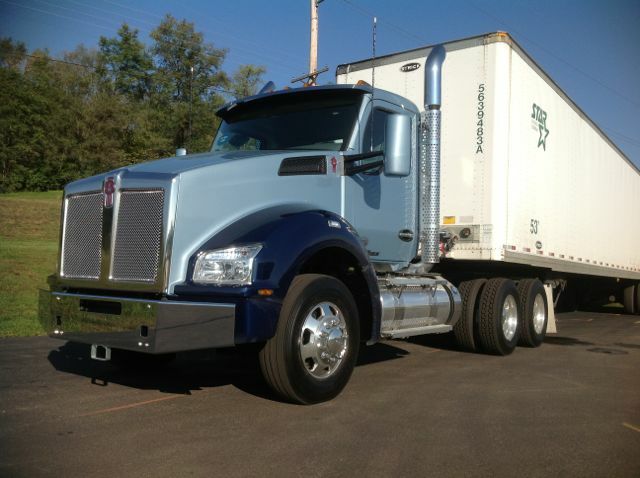 I drove this Ohio spec’ dump Kenworth T880 near Chillicothe, Ohio, and found it to be a worthy successor to the T800. The T880 boasts a larger cab than the T800, and can be placed into pretty much any application that suited the T8. 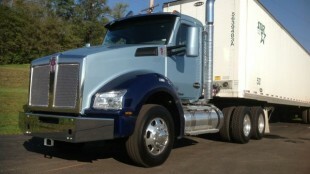 When Kenworth first announced the introduction of the T880, my immediate thought was, why? 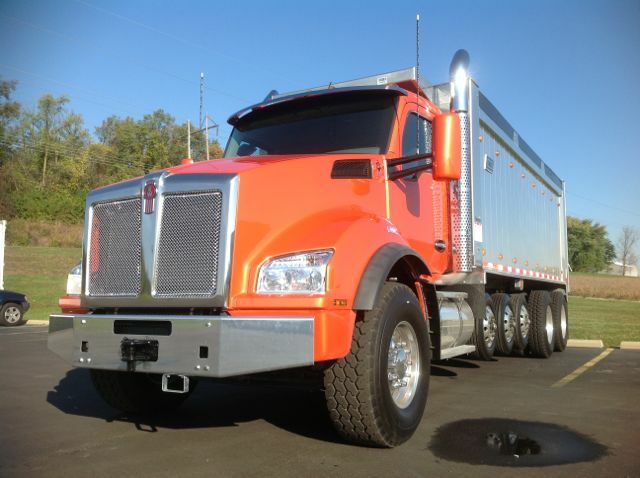 In the T800, Kenworth has a truck that has served itself and the industry well for more than 25 years. Since its introduction, incredibly, more than a quarter million T800s have been sold, and even more impressively, it’s estimated some 80% of them are still in service today – many of them in Canada. The T8 ain’t broke, so why mess with it? I finally had an opportunity to drive its eventual successor, the T880, in Chillicothe, Ohio last week. 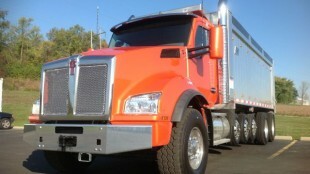 I have to say, Kenworth isn’t taking away anything from T800 fans. It’s simply giving more of what drivers have come to love about the T8. The bigger cab provides more room to move around, and even features a coat hook on the back wall of the cab. Visibility over the sloped hood has been greatly improved. The mirrors are cowl-mounted, but sit slightly lower on the frame, which allows drivers to see over them without craning their neck. This will improve visibility on the job site. The T880 I drove had an UltraShift Plus transmission, designed for vocational work, but those who prefer manual gearboxes will appreciate the new air-assisted hydraulic clutch that’s easier to operate. Corner windows and a sliding rear window provide great visibility out the back of a day cab, which tank haulers will appreciate. The MX-13 engine in the T880 I drove (an Ohio spec’ dump truck) was quiet, sure, but the really noticeable difference was the lack of road and wind noise. Redesigned doors that form a stronger seal when closed help mute ambient noises. Armrests built into the door are at an ideal height. And the automotive-inspired dash is more modern looking and easier to clean than alternatives (I’ve voiced my disdain in the past for tired, fake wood-styled dashes, though you may like them; to each our own). Anyways, I could go on and on about this truck – and I will, in print. For now, I’ll leave you with a picture of my bright orange T880 dump as well as a two-tone blue tractor and ask you to look for more in the December issues of Truck News and Truck West.